Like Childish Gambino, we are all never-ending works in progress. We must never, ever stop growing. Donald Glover is a man who avoids creative comfort. He creates and moves, builds and abandons, an artistic vagabond. Success doesn’t satisfy whatever fuels him forward, he has a gluttonous appetite for the next endeavor. Almost a decade has evaporated since the release of his first rap project, Sick Boi. 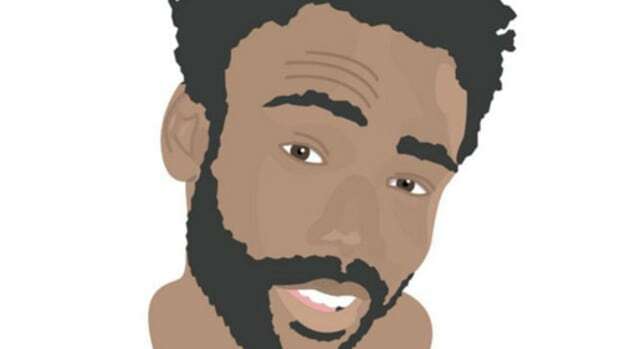 Almost 10 years after he put Donald Glover in a Wu-Tang name generator and received the moniker Childish Gambino. 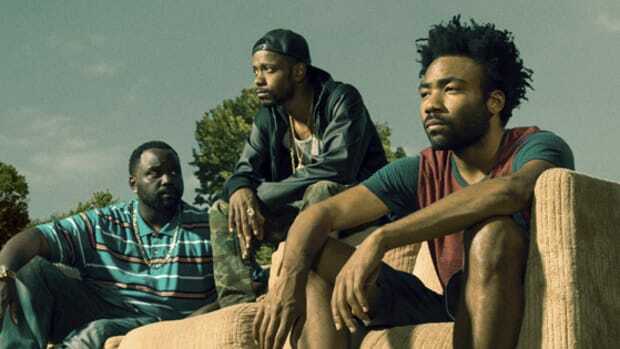 Donald is once again prepared to move forward, having recently announced one more album, a final goodbye. It&apos;s time to retire his rap persona. Gambino has a line on the intro of his Royalty mixtape about how his mother wondered why he would leave a good job, a reference to his departure from the show Community. She inquired a similar question when he left the writer’s room of 30 Rock after three seasons, just as the NBC sitcom was beginning to truly flourish. Donald tends to time his retreats just as things are beginning to escalate, moments before mass acceptance. “Redbone” is currently rising like a Funkadelic Phoenix, sitting at No. 12 on Billboard&apos;s Hot 100, his highest-charting song ever. 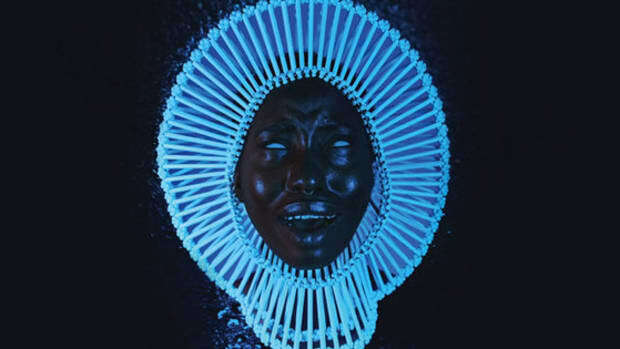 "Awaken, My Love!" debuted at No. 5 on the Billboard 200, Gambino’s highest-charting album to date. 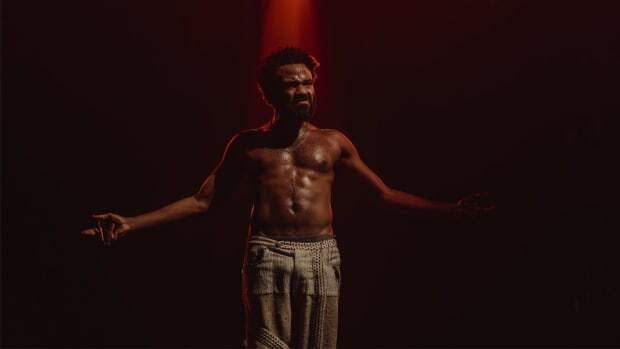 Just when it appeared Gambino would be embraced by the masses, inducted into the mainstream as a musician, the plug is being pulled. Rappers make retirement announcements like Apple announces new iPhones, but Donald is different. He has a history of leaving without looking back. When Community fans cried for a return of Troy Barnes, he didn’t comply. It’s safe to assume we are in the last days of Childish Gambino, the closing of a chapter I’ve followed fairly close since 2011 when EP was released. From watching the buoyant, bouncing red hoodie in the music video for “Freaks & Geeks” to viewing Earn’s attempt to retrieve a blue jacket with a patch on the season finale of FX’s Atlanta, the years have flown by. 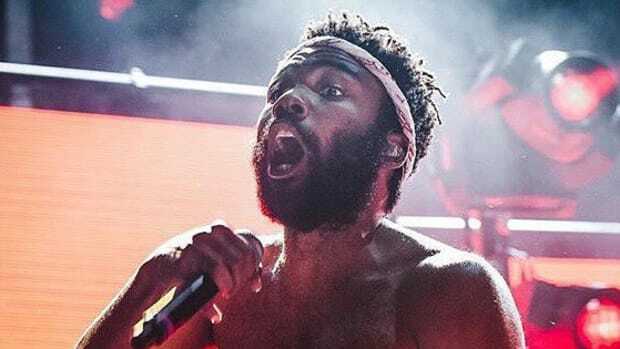 As the 33-year-old closes this creative phase in his never-ending pursuit of creating, it provides us with an excellent opportunity to reflect on the various lessons learned from Glover&apos;s time as Childish Gambino. Lessons, I hope fellow artists and creatives will carry on like mental torches in his memory. 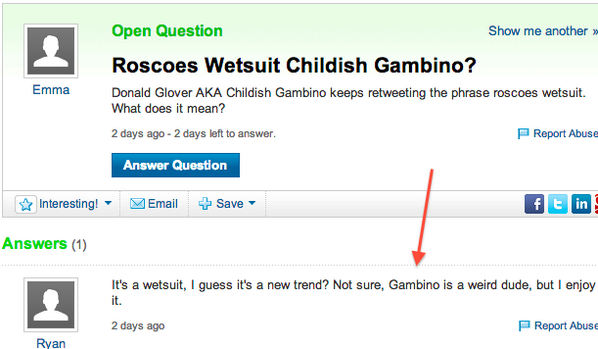 Childish Gambino didn’t begin as a social media darling. He was far from a favorite amongst bloggers and music critics. The disdain wasn’t completely unwarranted, Donald wasn’t the strongest rapper and far from the most endearing singer. Early comments and criticism surrounding his first few releases weren’t entirely wrong about the nasal voice and his struggle with defining a style―he was a rough hybrid version of a quirky punchline Wayne meets a navel-gazing pink Polo Kanye who didn’t drop out of college. He wasn’t taken seriously, overlooked as a parody, the actor turned rapper that wasn’t Drake. What makes Gambino&apos;s early offerings admirable is how he embraced what made him different. Critics were confronted on wax, he never fled from the criticism, and he continued to rap, sing, and create the music he desired. It wasn&apos;t always good but it was always Childish. When you’re pegged as being different and not embraced by the world it’s an uphill battle to being accepted. Far more tomatoes thrown than roses gifted. Childish Gambino deserved his tomatoes, even if Pitchfork’s 1.6 rating of Camp still feels ridiculous, but the weight of the words never crushed him. Album after album he grew, teaching listeners lessons about growth and evolution. Sometimes you have to make “Do Ya Like” before reaching “Redbone," or "Not Going Back" before "Sober." It’s okay to make I AM JUST A RAPPER before Royalty and Culdesac before Because the Internet. There are gems in his back catalog, honest music that created an early cult of fans who saw the promise. Everything happened in stages, development, and maturity as the music improved, and that crowd only grew larger. Childish Gambino wasn’t an overnight sensation or a musical genius that instantly captivated the world. His growth wasn&apos;t an isolated evolution, and he didn&apos;t enter the hyperbolic time chamber and come out in his final form. He was a never-ending work in progress. Gambino had to discover his 40 in composer Ludwig Göransson, the man behind the boards for every album since his debut project, Camp. Donald and Ludwig may be the most underrated duo since Lil Wayne and StreetRunner. It didn’t stop with Ludwig, either. Donald surrounded himself with the Royalty conglomerate―trusted creatives to assist in building his vision. He didn’t do it alone and he wasn’t perfect. These are two key facts creatives must remember: greatness happens in groups and working toward being great will get you much further than being lazy with natural born talent. After Camp, you can tell Donald began viewing the art of making music differently. He started to move into the mindset of selling an experience instead of just selling music. Because the Internet is arguably his best body of work musically, but it&apos;s also one of the best album rollouts of the digital era. The experience started by tweeting “Roscoe’s Wetsuit,” the beginning roll out of not just a concept album but an entire world based on a character. 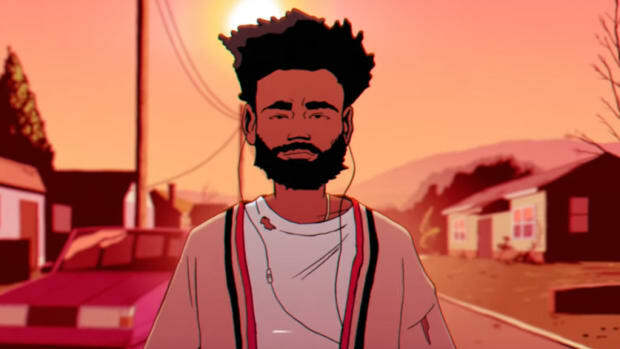 From the way that he dressed to the way he carried himself in interviews, music videos, and short films, Childish Gambino became the Boy that he wrote of in his screenplay. The screenplay didn&apos;t necessarily drive sales but it was another piece of art for fans to cherish. He found his voice as a storyteller and took that story beyond the recording studio. He stopped simply being a capable rapper making artistic progress and moved into his position as Kanye’s creative heir. Watching Clapping For The Wrong Reasons, the short film released before his sophomore album, his peculiar mood and bizarre tone are identical to what Atlanta became―a compelling story about nothing. The film wasn’t just about previewing the music to come, he gave us a glimpse of the world he was building. Because the Internet was a reminder of how few limitations can be put on art. It was a performative piece more than just an album release. Pharos and "Awaken, My Love!" were world-building. He didn’t just announce a festival, he created an application and festival to perform the music in the setting he desired. Gambino took the “build and they will come” ethos to a performative level, breaking the barrier of control that’s hard to maintain in the digital era of album leaks and cell phone spoilers. The best offer an artist can make in the digital era is an experience you can’t download. If it can’t be ripped, downloaded or pirated in some form, a new layer of value is created. 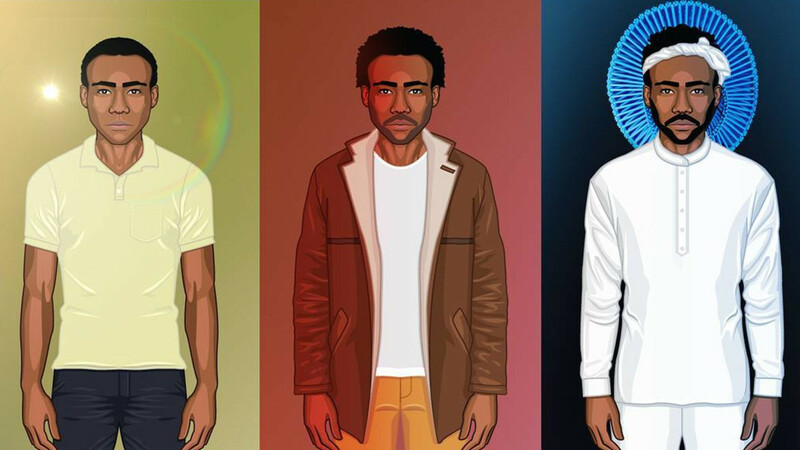 Both Because the Internet and "Awaken, My Love!" went beyond the traditional release route to curate experiences. Virtual reality is the latest innovative way Gambino has grabbed the attention of his fans with the release of "Awaken, My Love!" on vinyl. Once again, he saw the promise in doing more, using today’s technological resources to give an audience a way of experiencing the music that went beyond playing through their headphones. 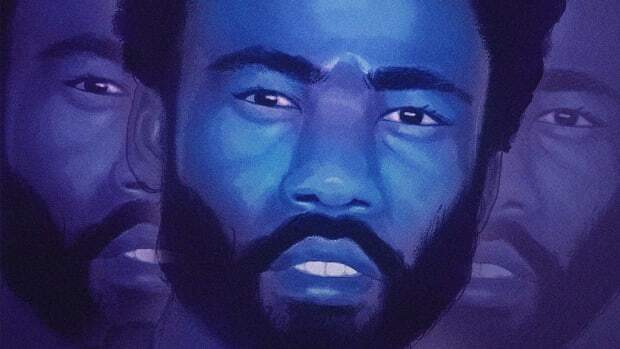 Gambino isn’t the first to utilize the VR experience in his music, but by packaging the headset with the vinyl release, it puts him ahead of all the other artists likely to follow suit. What has always made Donald a fascinating artist is his ability not to grow stagnant, always finding a new way to make the moment fresh and immersive. Time, dedication, passion and perseverance are what allowed Childish Gambino to prosper. He is the late bloomer that blossomed when the time was right. Artists tend to put pressure on themselves to be perfect, flawless, and beloved by all. He is a testament that if you truly trust the process and never stop growing, your time will come. Be creative, fearlessly innovative even when only a chosen few will applaud your efforts. Gambino taught us that art can be expansive and that we aren’t married to one craft or field. Explore all sides of yourself, don’t be afraid to chase your imagination&apos;s wildest ambitions. The only rule of art is to break all the rules, kill your heroes, and bury your darlings. When you&apos;re bad, believe you’ll be better. When you&apos;re good, believe you’ll be great. Never stop believing. Donald Glover isn’t perfect. 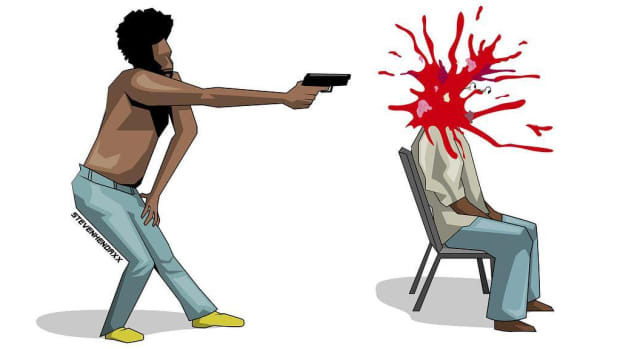 Childish Gambino isn’t perfect. He never hid his flaws, he never tried to portray himself as flawless, but as someone who was constantly learning. Don’t be perfect. Continue to learn. As artists and people, we are all never-ending works in progress.